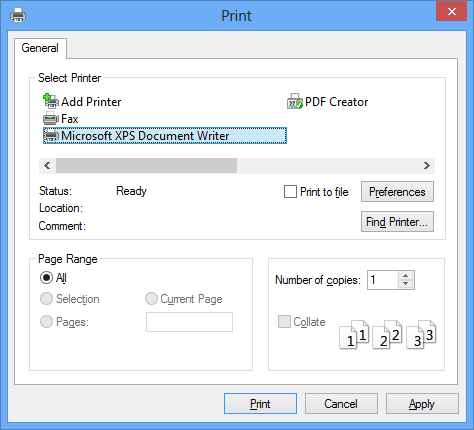 By default Windows 8 does not have the ability to print PDF from Windows 8 Reader. 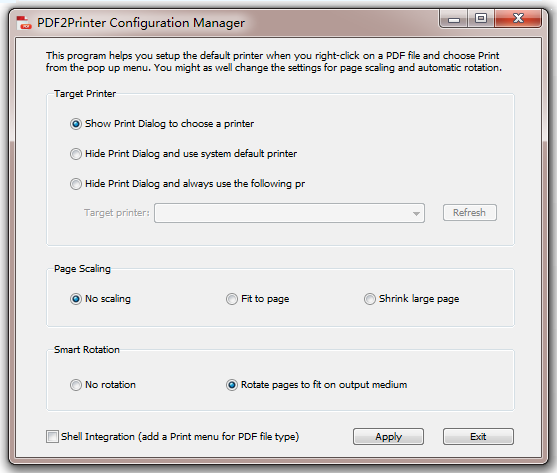 A Batch PDF Printing Tool is included in the setup package. 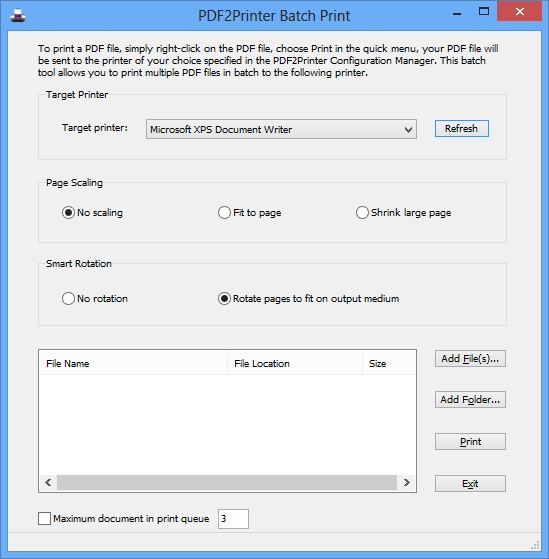 After installing PDF2Printer for Windows 8, you get PDF2Printer Batch Print, you can automate the print process by adding files or adding all files in a specific folder to a task list and printing. You are allowed to limit the number of PDF documents in the print queue to avoid performance degradation in the automation. This free program supports Microsoft Windows 8 x64 (64-bit) and x86 (32-bit), Microsoft Windows 8.1 64-bit/32-bit, and is backward compatible with Microsoft Windows 7, Windows Vista, Windows XP, Windows Server 2008, Window Server 2003, and supports Windows Server 2012.